UK mobile phone retailer Phones 4u has sent out a press statement confirming the Lumia 900 UK delay due to 'overwhelming demand' in the U.S. The "exclusive to Phones 4u" white Lumia 900, along with the black version, have had their availability date pushed back from April 27th to May 14th. As an apology to those who ordered either Windows Phone on (or before) April 16th, the retailer is bundling a pair of Nokia Purity in-ear headphones with the Lumia 900 (in addition to the free Nokia Play 360 wireless speaker) at no extra cost. As mentioned above, stock is expected to be ready to ship by May 14th. THURSDAY 25TH APRIL 2012: Phones 4u is proud to announce that, further to confirming its white exclusivity across the entire Nokia Lumia family of smartphones (including the Lumia 900), it will be the FIRST European retailer to range the eagerly anticipated Nokia Lumia 900. Further to the US Nokia Lumia 900 launch event, the product has already proven to be an overwhelming success and with the continuing high demand for Nokia’s latest Lumia smartphones, the Lumia 900 will now launch in the UK at Phones 4u on 14th May. Due to overwhelming demand for the Lumia 900 in the US having a small knock-on effect on product availability in the UK, those who were the first to preorder their Lumia 900* from Phones 4u will receive a set of Nokia Purity by Monster in-ear headphones in addition to their free Nokia Play 360 wireless speaker when the Lumia 900 now launches on the 14th May. Nokia's third Lumia smartphone builds on the range’s sleek, attention grabbing design and rich social and Internet experience. The Nokia Lumia 900 features a 4.3-inch AMOLED ClearBlack Display for rich, bright images and Nokia's highest capacity battery yet, making it the perfect smartphone for enjoying media and entertainment on the move all day long. The primary camera on the Nokia Lumia 900 has exclusive Carl Zeiss optics, a large aperture for improved performance in low light conditions and wide angle focal length for capturing full 16:9 images. It is also the first Lumia phone to feature a front-facing 1 MP HD camera, with large aperture and wide-angle lens for sharp, bright images and video calling. 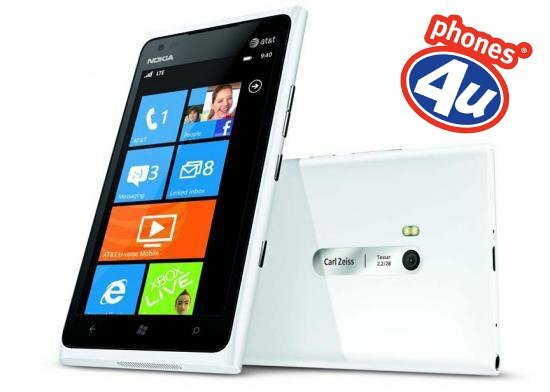 The Nokia Lumia 900 will now be available at Phones 4u both in store and online from 14th May.